I sincerely appreciate your ideas on the present-day global economic situation. You have served as an economic advisor to the president of the US and the chief economist of the World Bank. You have also shared the 2001 Nobel Prize in Economic Science. I was really happy to see you take part in an economic forum in Colombo a few months ago, thinking that your advice to the present government, and your observations about Sri Lanka’s economic situation, would help those taking economic policy decisions and who are struggling to find solutions to the mess created by previous regimes. However, the present government does not seem to follow any of your warnings. It does not state a clear economic policy and only speaks about implementing the third phase of the neoliberal policies introduced in 1977. Furthermore, it has sought help from the IMF to solve the immediate economic crisis in the form of a bailout package. A staff team of the IMF is already in Sri Lanka and is in the process of preparing a three-year programme to reform the economy. Do you think that the IMF has changed its adherence to policies that were responsible for bringing the world to the verge of a global meltdown at the end of the 1990s, as you observed in your book Globalization and Its Discontents, let alone the intensification of them that led to the more serious global crash of 2008? Has it developed new strategies that can help a country that has suffered from more than 30 years of civil war, and a regime that was responsible for destroying all democratic institutions and the rule of law? As you are aware, the previous regime followed a more blatant policy of crony capitalism, obtaining huge loans that created a real debt trap. Unfortunately, the present government has no clear economic policy except to follow the outdated neoliberalism. As an example, it wrongly continues to prioritise huge and expensive projects, such as the Megapolis and Port City, while the country has so many more pressing needs. As a person who has won the confidence of current Sri Lankan government leaders, please make them understand that their policy is dangerous; it will only increase hardship and likely bring about a backlash and another dictatorship, destroying the hopes of the people who voted for something else on 8 January 2015. This is now very urgent, as the government plans to declare its economic policy by July, most probably following advice from the IMF. UNHRC To Follow Sri Lankan Style Of Not Publishing Reports? 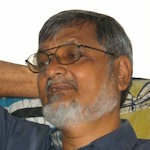 Sri Lanka’s National Security Silence: Threat Or Defence?